 We update our website periodically. We encourage you to contact our office for any available homes not yet posted. Great Site overlooking the community. 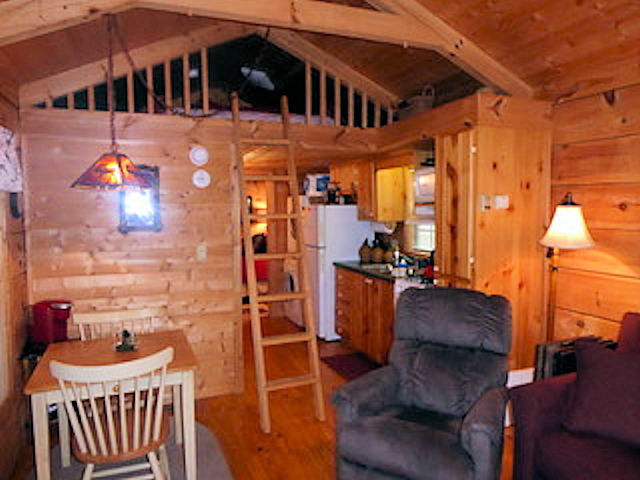 The cabin has a rustic beamed ceiling, solid wood cabinets, (no particle board) and a cozy gas log fireplace. 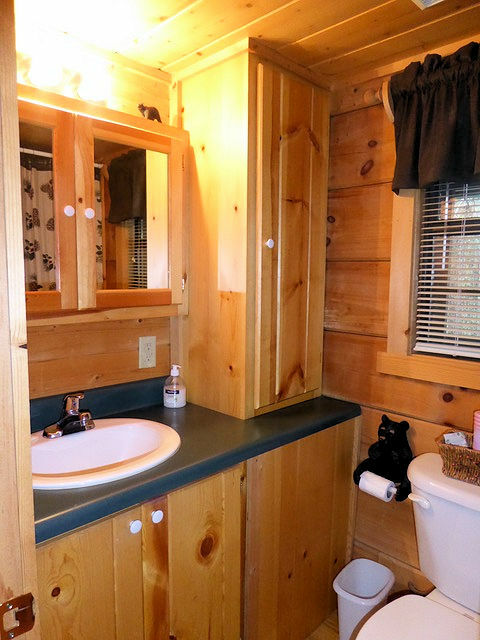 It is completely furnished and also includes a washer and dryer. 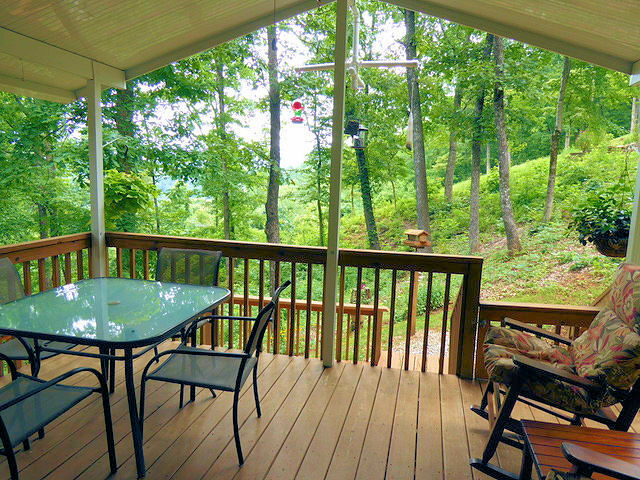 Enjoy the View from a large fully Screened Raised Deck and park your car out of the rain using the attached carport. 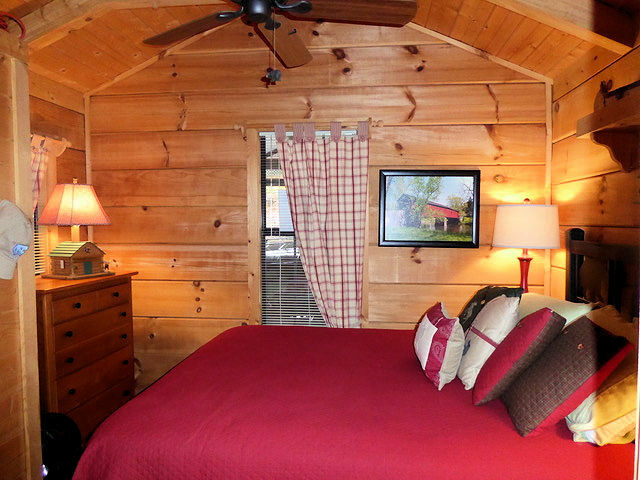 Central Heat & Air System makes it easy to use this cabin any time of the year. 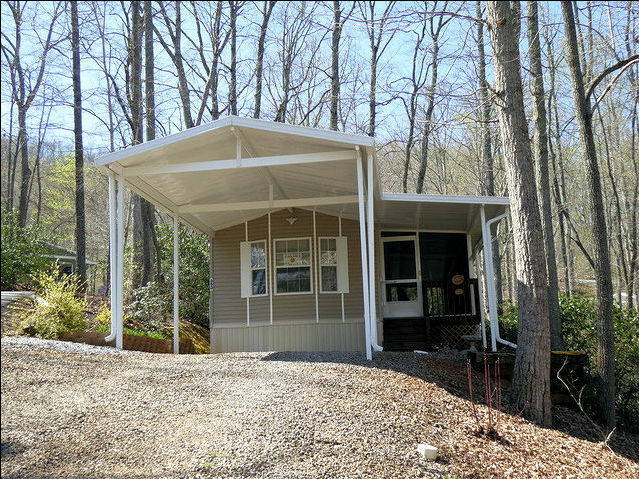 Unique Floorplan with a lot of built in cabinets (including the bedroom) Enjoy the shaded & wooded site from a large screened in Porch. This beautifully maintained home has a Sliding Glass Door to the Porch adding extra Natural Light. A convenient custom built Storage Closet is part of the Porch. 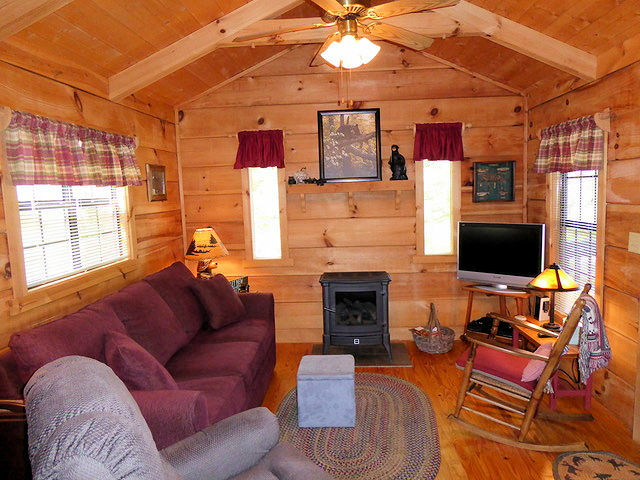 Includes Electric Range, Microwave, Refrigerator, Stack Washer/Dryer and Central Heat & Air. The home is Partially furnished. An Extra Wide Carport is a nice plus. Beautiful View from "Top of the Ridge" location, Newest home in the community (used only part-time),Taped & Textured Drywall Interior, Expanded 6 Exterior Walls, Oak Cabinets in Kitchen with abundant counter and storage area, Smooth top Range, Microwave Oven, SxS Refrigerator with Ice Dispenser in door, Dishwasher, Laundry Area, Raised Covered Deck with a Beautiful Mountain View, Carport, Custom built Exterior Storage Room, Central Heat and Air, Furniture Negotiable. 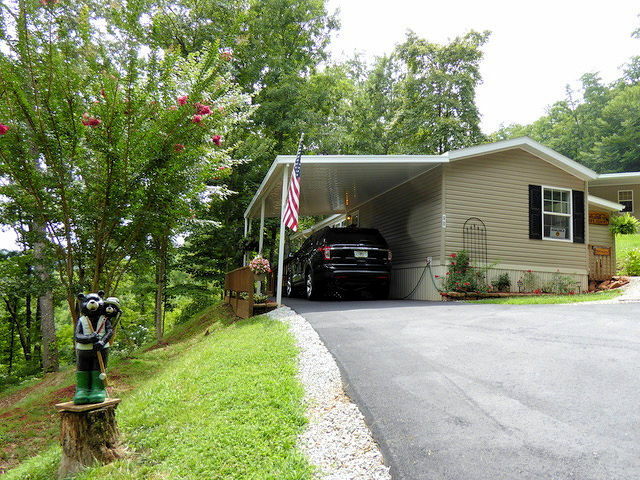 double carport with paved parking, nice landscaped. 1 Bedroom - 1 Bath - over 600 sq. ft. This immaculately kept home has always been a seasonal retreat. 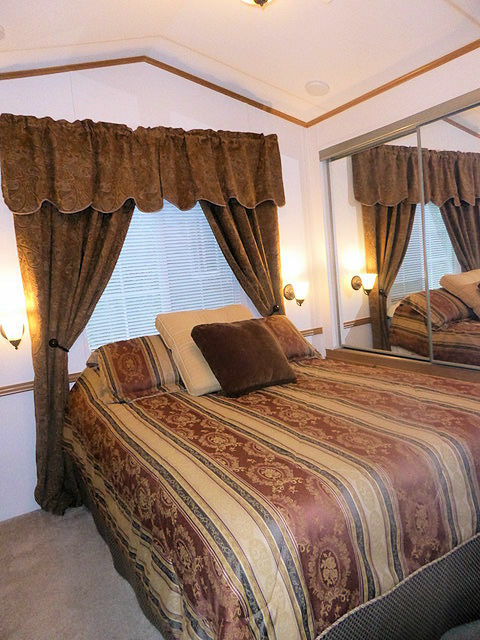 It is beautifully furnished with custom ordered furniture and fixtures to match its mountain theme. 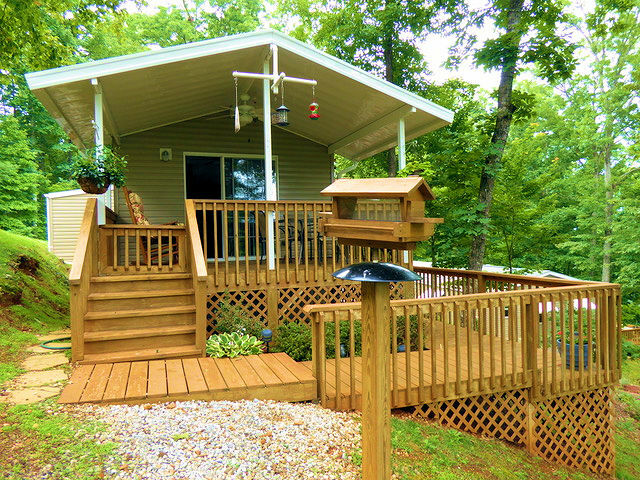 The open and spacious floorplan is very appealing with a deck right outside the living room to enjoy the wonderful view of the tranquil wooded setting. 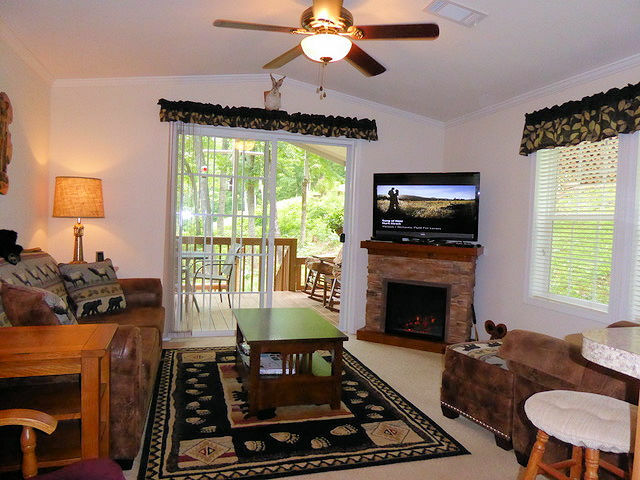 The living room has an electric fireplace to provide ambiance and heat when desired. 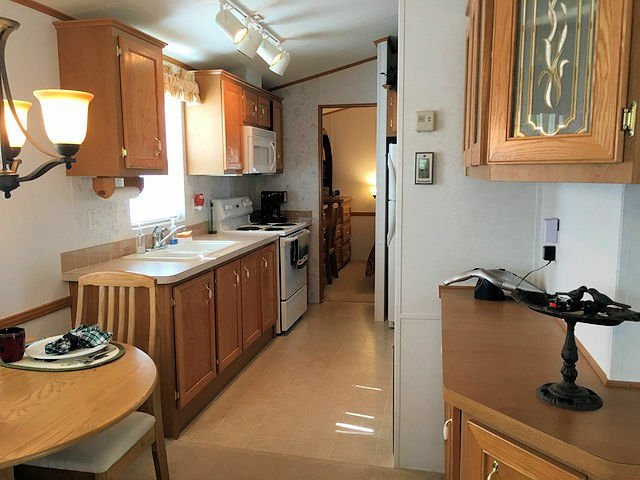 The kitchen has an abundant amount of countertop work area and numerous drawers, side X side refrigerator, space saver microwave and glass top stove. 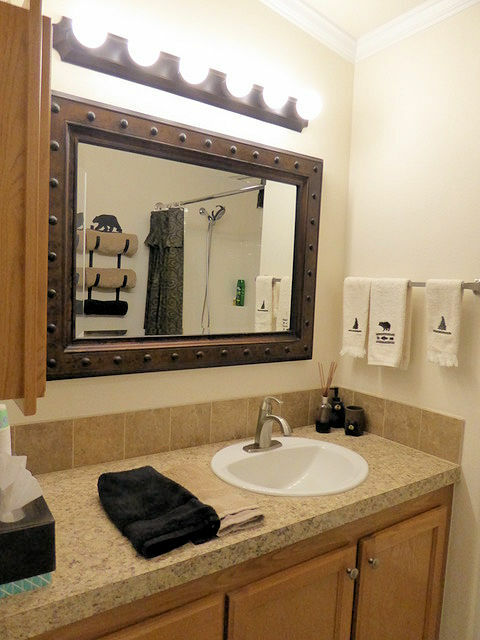 A modern large capacity stack washer & dryer is included with the home. You can relax on the covered deck right out the living room SGD door which has stairs to another level of decking wrapping around to the carport. 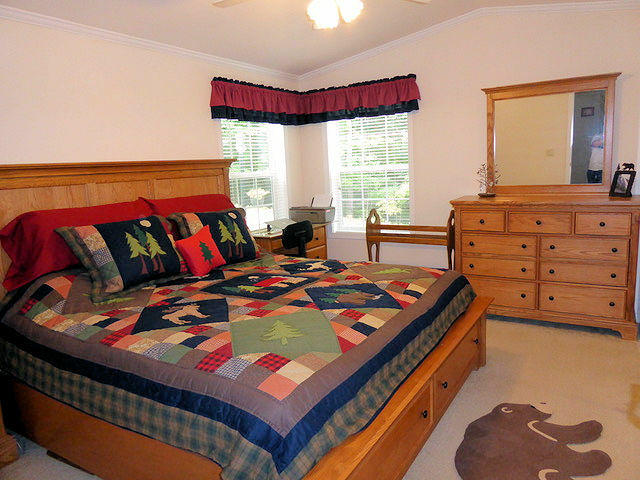 It's large bedroom has plenty of room for the king size bed and also features a large closet. 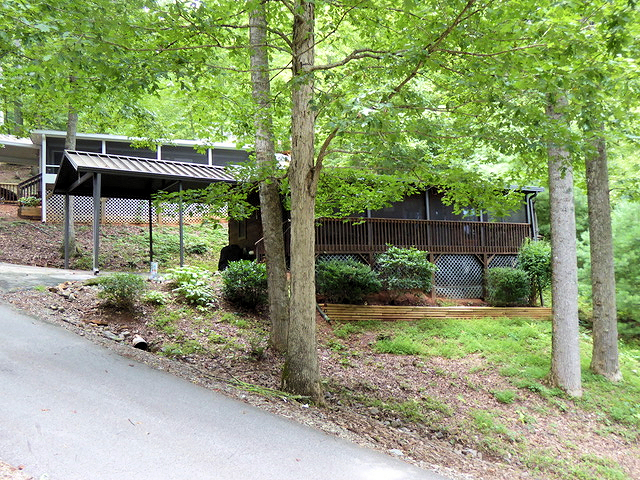 Driveway is paved and has a carport which provides cover to the front door. An extra large workshop/storage shed with a workbench and shelves adds plenty of extra storage and workspace. Corner site location in a wooded setting. 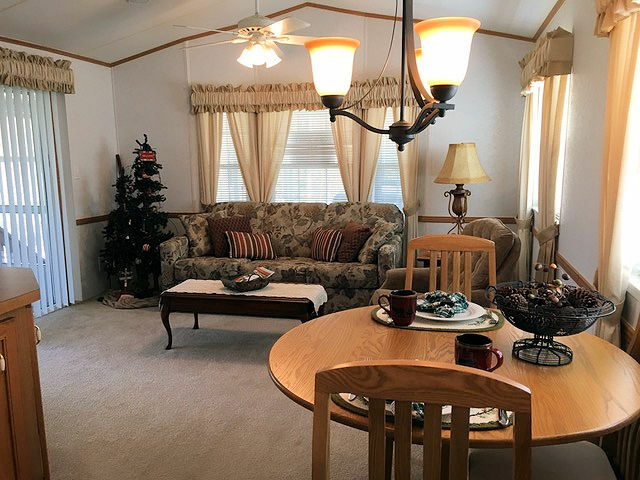 Highlighted features of the home include large sunroom with an energy efficient mini split system for year round enjoyment. Custom built hobby room with storage closet, detached custom built storage building. 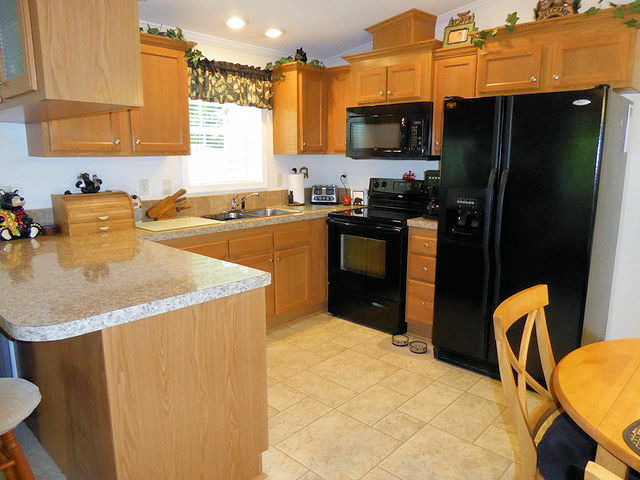 Appliances included: side by side refrigerator, electric range, microwave/vent over range, dishwasher, washer/dryer. Upgraded carpet and wood floors, custom drywall interior, low maintenance landscaped yard, large carport side by side parking. This well maintained home and beautifully appointed home with its custom built additions is offered with most furnishings included. Exterior storage building and ceiling fans throughout. 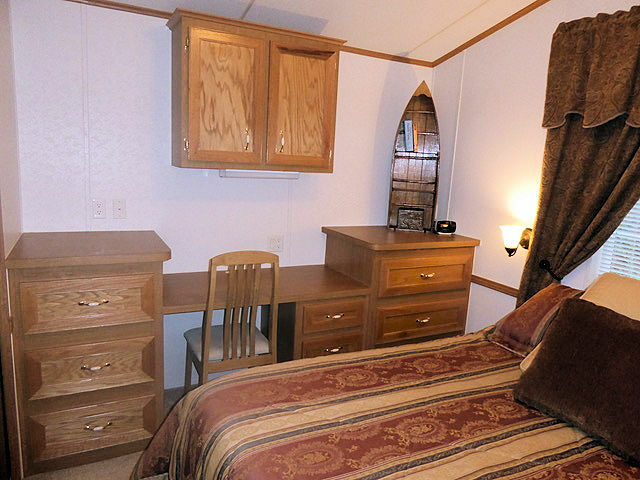 Includes furniture, W/D, Refrigerator, Stove & Microwave. Heating/Air replaced within the past 5 years.